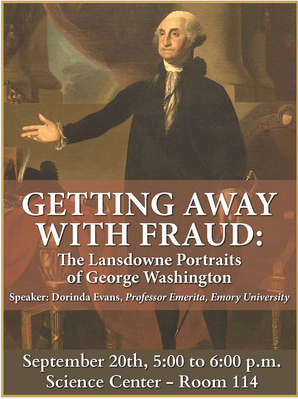 Lexington, VA (Sept. 10, 2018) - Washington and Lee’s University Collections of Art & History will host Dorinda Evans, professor emerita at Emory University on Sept. 20 at 5 p.m. in the Science Center, Room 114 for a public lecture titled: “Getting Away with Fraud: The Lansdowne Portraits of George Washington.” The talk is free and open to the public. Evans will discuss the history behind several fraudulent copies of Lansdowne-style George Washington portraits that were produced based on the original. W&L owns a Lansdowne-style picture given to the university and which now hangs in Leyburn Library. “Evans will reveal historical and art historical intrigues based on her research regarding paintings she attributes to William Winstanley, who copied Stuart’s work and sold the paintings fraudulently,” said Patt Hobbs, Associate Director of UCAH and Curator of Art and History. “This includes the university’s copy of the “Lansdowne” portrait of Washington, once thought to be an original Stuart." According to Hobbs, Evans has also worked closely with W&L Chemistry Professor Erich Uffelman and his summer interns who have conducted scientific examinations of W&L’s “Lansdowne” version portrait, as well as other copies located elsewhere in the country, including the White House. 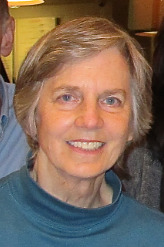 “W&L’s copy is particularly important as a link between early America and South Asia,” said Hobbs. The talk is sponsored by University Collections of Art & History.